World Health Organization. Ebola haemorrhagic fever in Zaire, 1976. Report of an International Convention. Bulletin of the World Health Organization. 1978;56(2):271-293. World Health Organization. Ebola haemorrhagic fever in Sudan, 1976. Report of a WHO/International Study Team. Bulletin of the World Health Organization. 1978;56(2):247-270. Heymann DL, Weisfeld JS, Webb PA, et al. Ebola hemorrhagic fever: Tandala, Zaire, 1977-1978. Journal of Infectious Diseases. 1980;142(3):372-376. Baron RC, McCormick JB, and Zubeir OA. Ebola virus disease in southern Sudan: hospital dissemination and intrafamilial spread. Bulletin of the World Health Organization. 1983;61(6):997-1003. Georges AJ, Leroy EM, Renaud AA, et al. 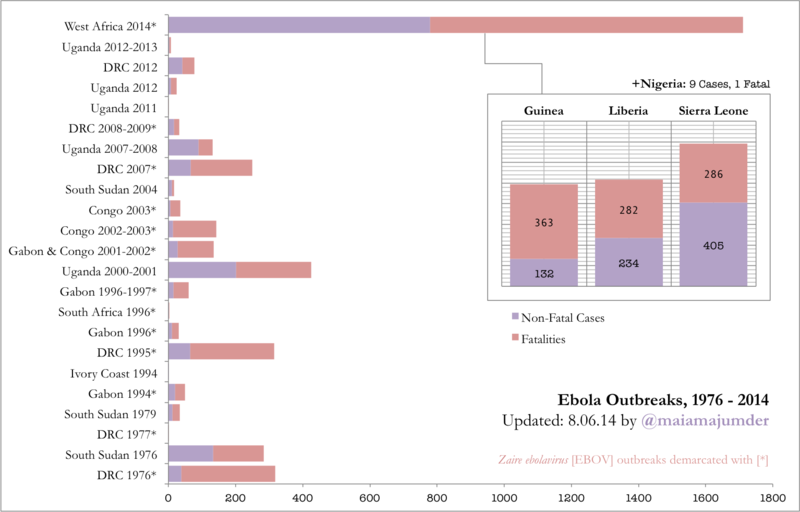 Ebola hemorrhagic fever outbreaks in Gabon, 1994-1997: epidemiologic and health control issues. Journal of Infectious Diseases. 1999;179:S65-75. Le Guenno B, Formenty P, Wyers M, et al. Isolation and partial characterisation of a new strain of Ebola virus. Lancet. 1995;345:1271-1274. Khan AS, Tshioko FK, Heymann DL, et al. The Reemergence of Ebola Hemorrhagic Fever, Democratic Republic of the Congo, 1995. Journal of Infectious Diseases. 1999;179:S76-S86. World Health Organization. Ebola haemorrhagic fever – South Africa. 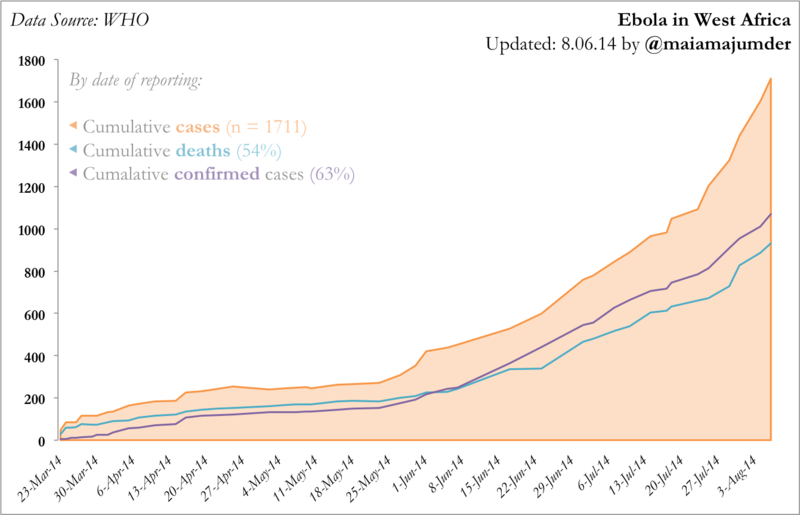 Weekly Epidemiological Record. 1996;71(47):359. Okware SI, Omaswa FG, Zaramba S, et al. An outbreak of Ebola in Uganda. Tropical Medicine and International Health. 2002;7(12):1068-1075. World Health Organization. 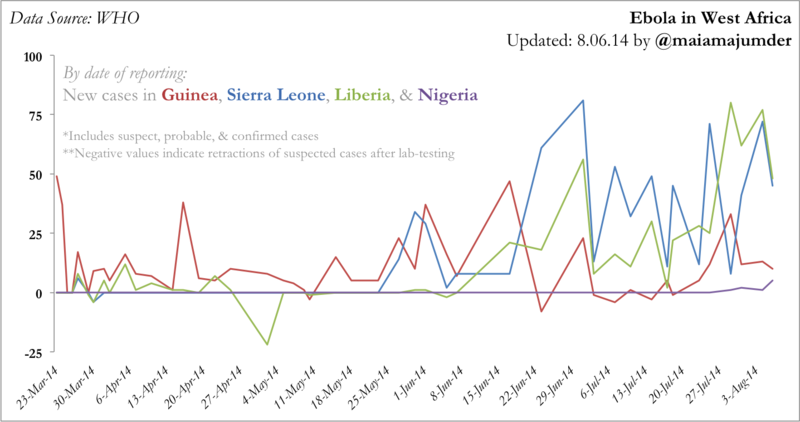 Outbreak(s) of Ebola haemorrhagic fever, Congo and Gabon, October 2001- July 2002. 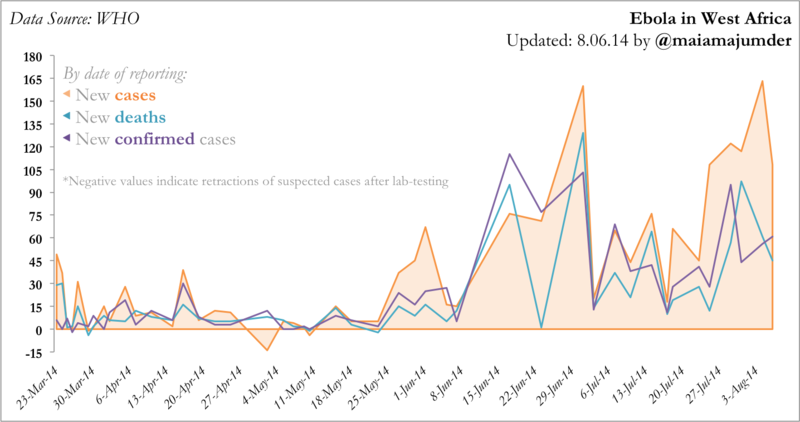 Weekly Epidemiological Report. 2003;78(26):223-225. Formenty P, Libama F, Epelboin A, et al. Outbreak of Ebola hemorrhagic fever in the Republic of the Congo, 2003: a new strategy? Medecine Tropicale (Marseille). 2003;63(3):291-295. World Health Organization. Ebola haemorrhagic fever in the Republic of the Congo – Update 6. 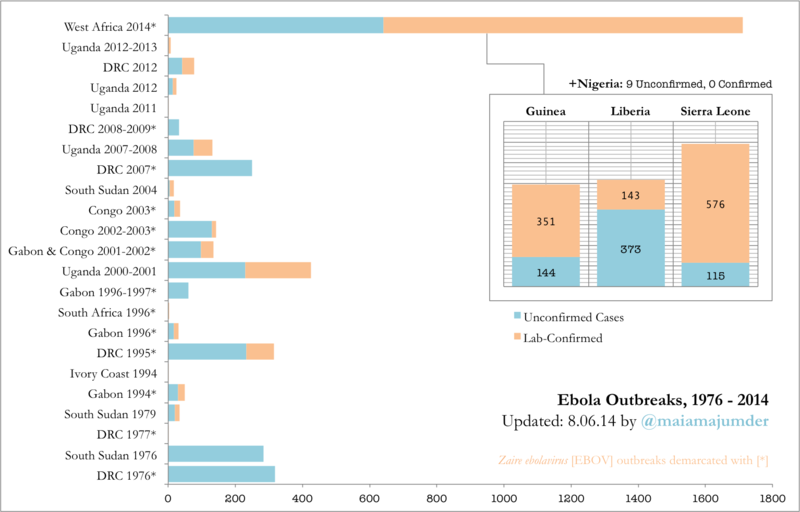 Weekly Epidemiological Record. 6 January 2004. World Health Organization. Outbreak of Ebola haemorrhagic fever in Yambio, south Sudan, April-June 2004. 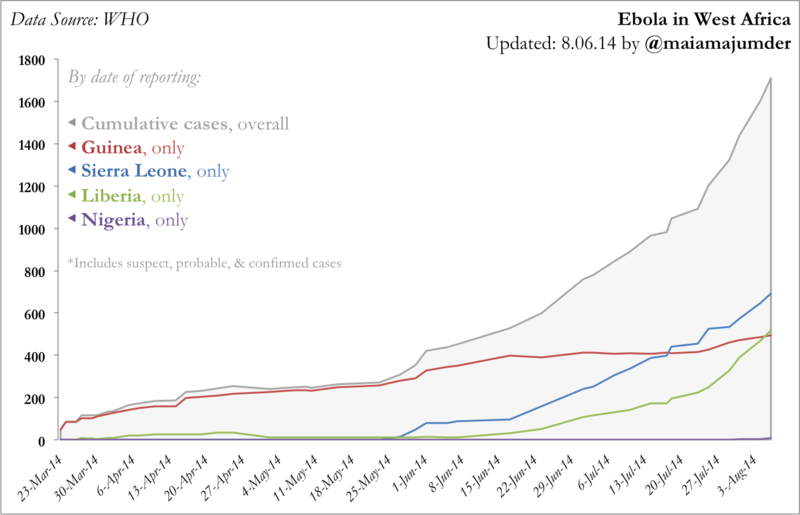 Weekly Epidemiological Record. 2005;80(43):370-375. MacNeil A, Farnon EC, Morgan OW, et al. Filovirus Outbreak Detection and Surveillance: Lessons from Bundibugyo. Journal of Infectious Diseases. 2011;204:S761-S767. World Health Organization. End of the Ebola Outbreak in the Democratic Republic of the Congo. Global Alert and Response. 17 Febuary 2009. 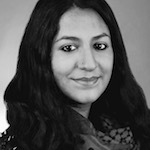 Shoemaker T, MacNeil A, Balinandi S, et al. Reemerging Sudan Ebola Virus Disease in Uganda, 2011. Emerging Infectious Diseases. 2012;18(9):1480-1483. Albarino CG, Shoemaker T, Khristova ML, et al. Genomic analysis of filoviruses associated with four viral hemorrhagic fever outbreaks in Uganda and the Democratic Republic of the Congo in 2012. Virology. 2013;442(2):97-100.